With Brisbane now well and truly on the investment buyers’ radar, competition is growing for properties that offer investors great value and potential return on investment. Many interstate buyers are choosing to do their own legwork in the Brisbane market, or are engaging buyers’ agents from Sydney or Melbourne to do their research for them. While these agents are skilled in the southern markets, there are many benefits to engaging a Brisbane-based buyers’ agent to assist with your investments north of the border. The Brisbane market can be vastly different to the markets in both Sydney and Melbourne, in terms of value, price, location and potential rental returns. An interstate agent can’t compete with the local knowledge, relationships and understanding of Queensland investment practices, as well as on-the-ground access to new and emerging properties to market. This is the type of perspective that money just can’t buy. If you are making the move to invest in Brisbane, here are three smart reasons to engage a Brisbane-based buyers’ agency. A local Brisbane agent gives an investor “boots-on-the-ground” access to the best property deals in Brisbane. 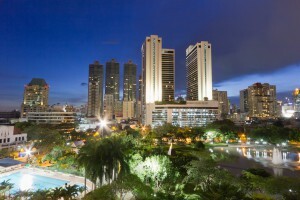 They are embedded in the local market and know what constitutes a good deal in terms of location, price and potential returns. They can quickly assess a property’s worth and advise on whether busy roads, poor rental vacancy figures, poor suburb sales growth and undesirable locations to find the best investment return for your hard-earned dollars. Local relationships and knowledge mean that they can often access new listings, sometimes prior to them hitting the market. They don’t look for hot spots and know when a deal that might look good on paper may cause long-term heartache for their investor. All too often we hear of interstate investors over-paying for properties with figures that would look good in their markets, but which will come with problems in Brisbane. For example, they are paying too much for properties that require extensive renovation but once renovated will not secure increased rental yields, or they are paying too much for properties in great suburbs on undesirable streets. 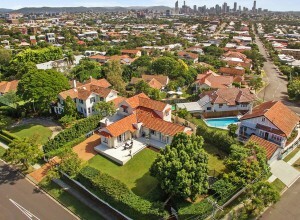 They are rushed in their decision-making, and their knowledge of Brisbane’s expanse of suburbs is limited to quarterly fly‑in/fly-out buying sprees. 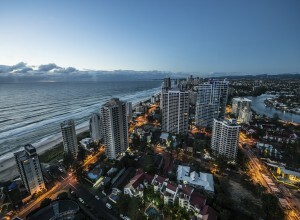 Brisbane has its own real estate practices and its own unique way of doing things, on which a local agent will capitalise. Here, we do not rely on auctions, with clearance rates in both good and bad markets sitting at around 30 to 40%. In recent years, a flood of new apartment complexes means that unit prices achieve nowhere near the growth of houses. Brisbane is experiencing a renters’ market for units due to a major oversupply. Interstate investors need to be aware that their investment units will compete against a surplus of modern and stylish units in premier locations such as Newstead, Fortitude Valley, West End and Milton. A local buyers’ agent will advise on this situation and the likely outcomes for your property in terms of securing tenants, rental return, and opportunities for houses in other areas that have the potential to return a similar rental yield but provide bigger potential growth opportunities. Just like any profession, experience counts for so much. Engaging a local Brisbane-based buyers’ agency means that an investor can be assured of their comprehensive experience in the Brisbane market and an up to date feel of what’s happening in the local market. While agents in Sydney and Melbourne may claim this, they don’t have a dedicated team in Brisbane, working daily to give sound investment advice to their clients, specific to this growing market. When buying an investment property, especially from a distance, there are too many factors that can cause long-term heartache for investors; renovations, maintenance, vacancy, location, overpaying, and more. A local agent can ensure that you invest in a property that will provide a secure return on investment and future capital growth opportunities. They can access the many potential opportunities in a strong market that is very far removed from those of Sydney and Melbourne and compete with local investors to your benefit.